Feeling for Words. 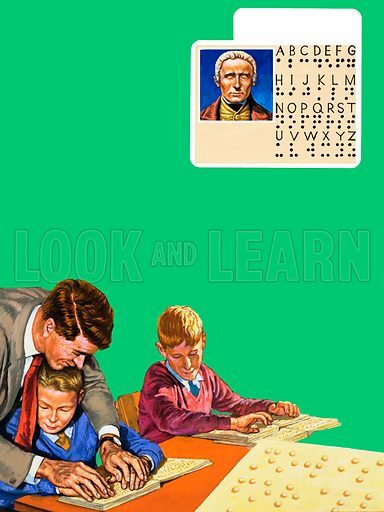 Alphabet for the Blind - Louis Braille. Blind children learning to read by feeling the raised dots. Bottom right: a close-up of braille letters. Original artwork for the illustrations on p2 of L&L issue no. 1045 (20 March 1982).